Russian heavyweight Alexander Povetkin has not fought since his loss to Anthony Joshua earlier this year at Wembley stadium. He was stopped inside the distance back in September and subsequently had to spend time healing from injury. His luck might have just turned however as not only can he resume training again in January, Russian media have made some new reports on who his opponent could be. 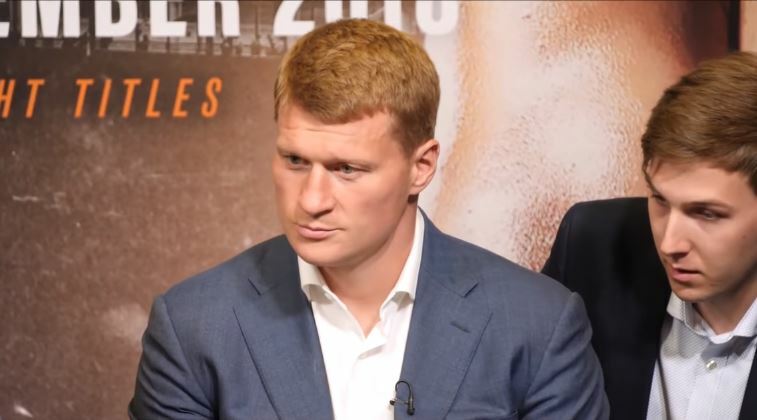 Apparently Povetkin could now feature on the April 13th card at Wembley headlined by Joshua and has told Russian reporters he would love to face Dillian Whyte on the date. Whyte however has been linked with a shot against Joshua himself but if that were not to happen and the long awaited Joshua vs Wilder fight were to be made, Povetkin vs Whyte would certainly be a nice heavyweight co-headline. That would probably cheese off Dillian Whyte somewhat though who has been waiting patiently for his chance at one of the big three (Wilder, Joshua or Fury) or a title shot. If anyone deserves a world title shot it’s Whyte after knocking out Lucas Browne, out pointing Joseph Parker and knocking out Chisora this year.